I am super excited to announce some new class offerings this spring at Always in Stitches in Noblesville, IN and this summer at the Westfield Parks and Recreation Department in Westfield, IN. 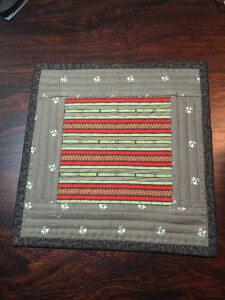 If you have wondered about what Cotton Theory is all about, I hope you’ll join us, meet some new quilty friends, and just have some fun sewing. Up first is Cotton Theory 101 at Always in Stitches. 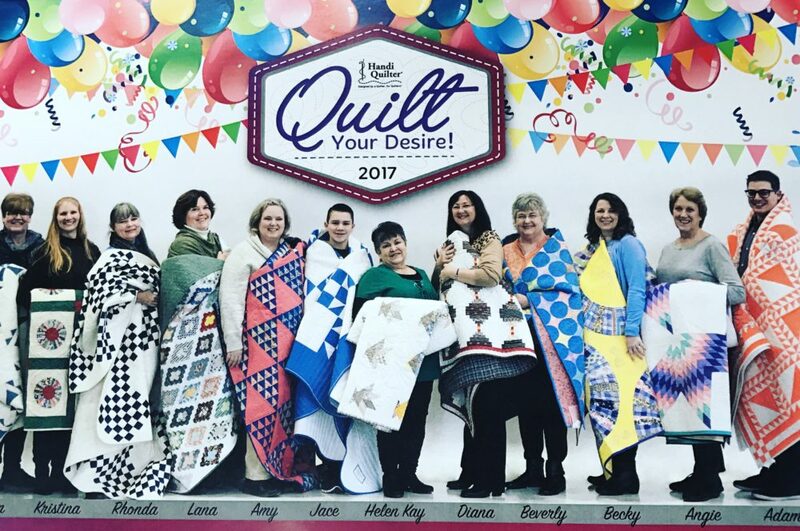 This is a very large, yet friendly quilt shop in Noblesville, IN. They also feature a large yarn and knitting area. It is worth a road trip if you have not yet visited. 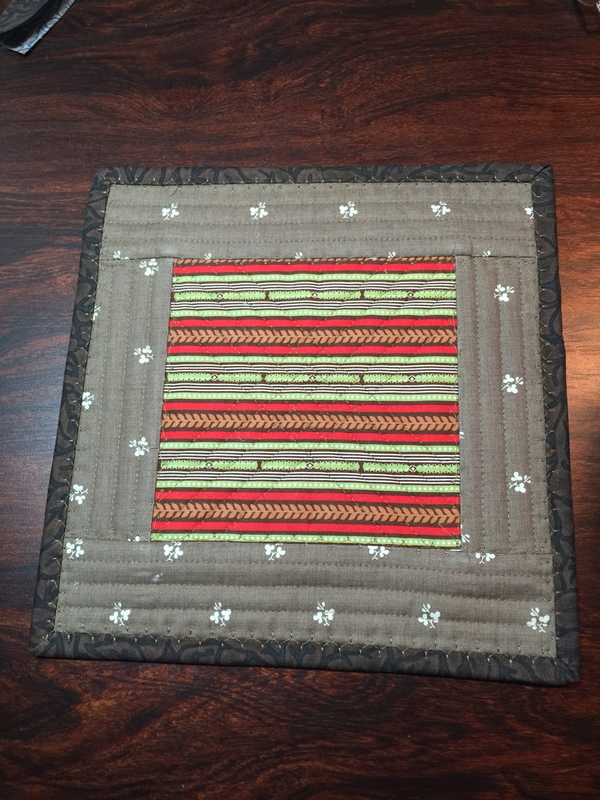 In Cotton Theory 101, held on two Wednesdays, April 15 and 29 from 1 – 4pm, you will make a 10″ x 10″ Candle Mat. 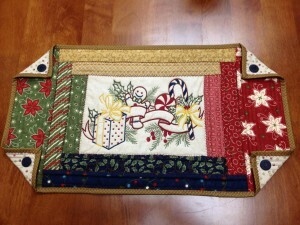 You only need to supply 2 fat quarters and 1/8 yd of fabric for the binding. I will provide the Cotton Theory Book 2, a comprehensive book which has the pattern in it along with many other projects, as well as the Cotton Theory method general instructions so you will be able to refer to them later. It is a wonderful reference book! In May (12th and 19th, 10 – noon) and June (17th and 24th, 10 – noon) I will be teaching Cotton Theory 101 for the Westfield Parks and Rec Department in their downtown Westfield, IN facility. 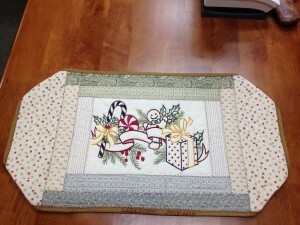 For this class I will be providing a pre cut fabric and batting kit for the Candle Mat project. Several fabric color options will be available. In July (8th and 22nd, from 1-4pm) and August (3rd and 17th from 1-4pm, I will be teaching Cotton Theory 102 for the Westfield Parks and Rec Department in their downtown Westfield, IN facility. 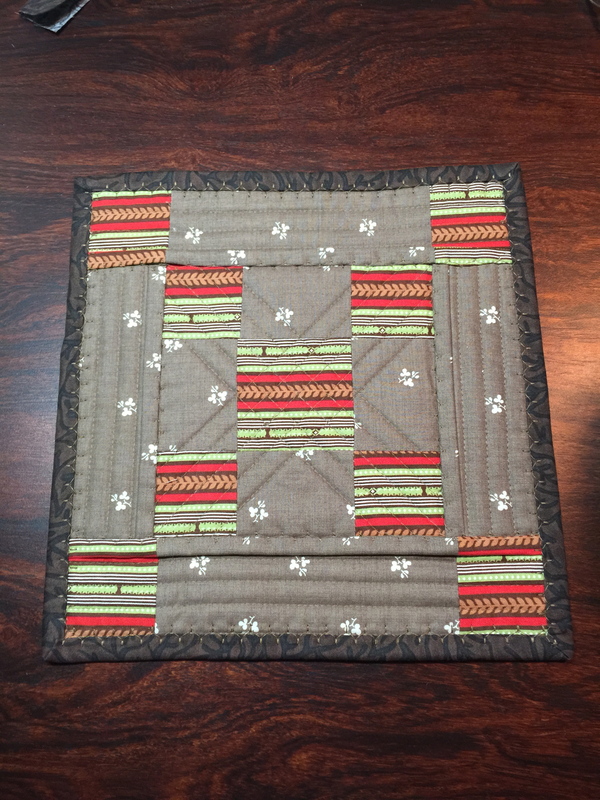 The project for Cotton Theory 102 is the Button Back Table Runner. 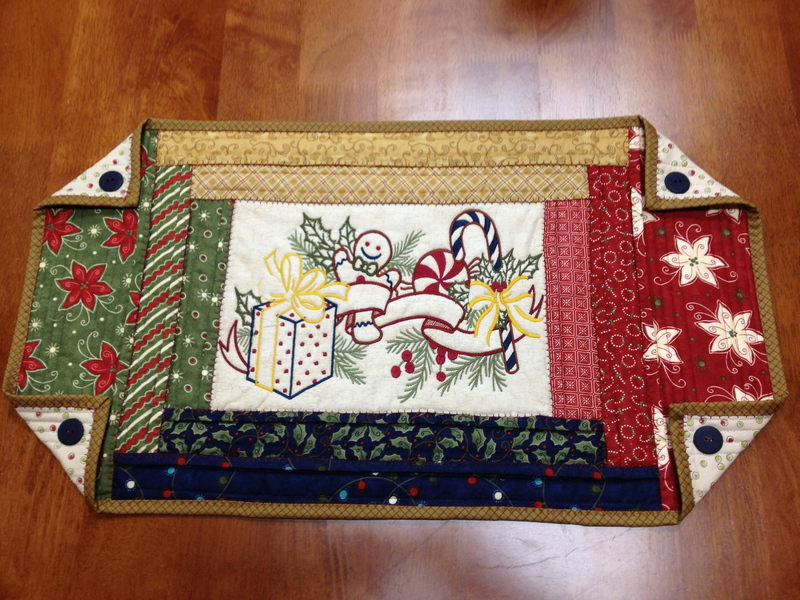 Make this completely reversible Button Back Runner to adorn your own table or give as a gift. 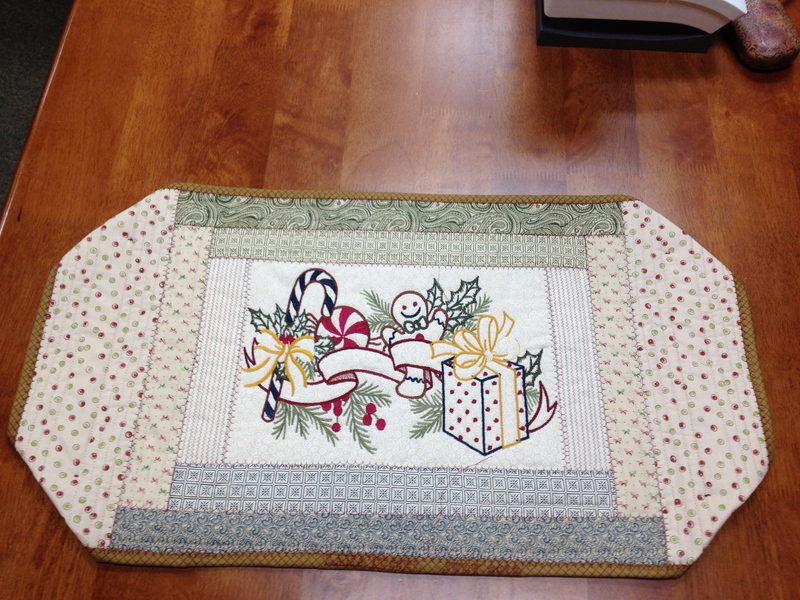 Easily customizable by you – you decide if you want an embroidery design in the center, a panel or focus fabric, or simply quilted. After this class you will take away a total of 9 hours of instruction. 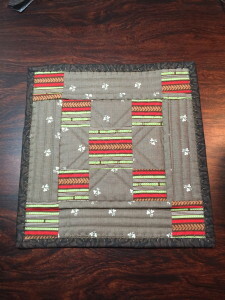 If you are an experienced quilter, you may begin with this class and skip CT 101.